Mute Schimpf is a food campaigner for Friends of the Earth Europe. Both compounds are top-sellers for the soon to be merged mega-corporation Bayer-Monsanto. Both are highly toxic, and both are intrinsically linked to genetically modified crops. According to both the European Chemicals Agency (ECHA) and the European Food Safety Authority (EFSA) glufosinate is highly toxic. The ECHA stated that it “may damage fertility or the unborn child” whilst EFSA concluded that “a high long-term risk was identified for mammals”. One would be forgiven for forgetting that we’re talking about chemicals that farmers use to spray on crops. In 2013, both the European Commission and member states imposed stricter regulations on glufosinate’s use – existing EU law prevents farmers from spraying entire fields with it – and its authorisation should expire in July next year. But, instead of this toxic and dangerous chemical being withdrawn, Bayer is now looking for its full renewal. Why? 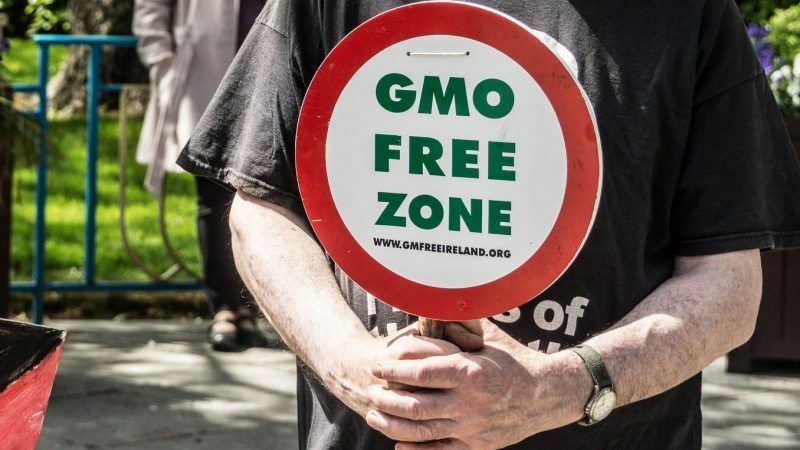 In one word, profit, but in slightly more, Bayer is in close cooperation with other chemical giants Syngenta and Dow-Pioneer who are pushing for the authorisation of the first genetically modified (GM) crops in 19 years. The two GM maize types, technically called BT11 and 1507, are the first GM-crops resistant to being sprayed with the very same highly toxic glufosinate. Disregarding the fact that the safety checks for these new GM crops are flawed, and that the environmental impacts of spraying them with glufosinate have never been assessed; these authorisations come against a background of widespread opposition from governments, farmers and the wider public. GM-crops are grown on less than 1% of agricultural land, mainly in Spain and Portugal. They are unwanted and unnecessary. Decisions on the new GM-crops, and the toxic chemicals they rely on, are being made on 27 March. Once again our food and farming lies at cross-roads, and industry and the European Commission seem oblivious to the facts. We don’t need pesticides or their accompanying biotech crops – the United Nations released a report last week denouncing the myth that pesticides are needed to feed a growing world population. Research from France shows that substantially reducing pesticides and maintaining both high productivity and profitability is possible. With the increasing consolidation occurring in the agri-business sector and the political power that brings, it is time for those empowered to make decisions about our future to take the appropriate step and put our food and farming onto a more sustainable path. s a first step Monsanto’s and Bayer’s weed-killers and GM-crops that rely on them should be banned. Old & busted misinformation about GMOs. Where is the science supporting claims like “the safety checks for these new GM crops are flawed”?